Isaac Beers: president of the New Haven bank, president of the Chamber of Commerce in New Haven, deacon of the Episcopalian church, alderman under Mayor Roger Sherman, merchant, and proprietor of The Beers Tavern. Isaac was born in 1742 in Stratford, Connecticut and moved to New Haven with his father Nathan and siblings around 1754. Isaac's father, Nathan, purchased the former Goodyear mansion on the corner of College and Chapel Streets in New Haven. In the early 1760s, Isaac began running The Beers Tavern at this location, and he continued to operate the tavern until 1778 when he chose to open a bookstore in its place. Distinguished and influential visitors to The Beers Tavern include: John Adams, Benedict Arnold, Aaron Burr, and George Washington. Two particularly exciting events occurred at The Beers Tavern. The first took place on April 22nd, 1775 when Benedict Arnold, Captain of the Governor's Foot Guard, rushed to the tavern and demanded that the Town Selectmen hand over the key to the King's powder house. After obtaining supplies from the powder house, Arnold marched with his Second Company of the Foot Guard to Boston to aid his fellow patriots in their fight against the British. Two months later, on June 28th, General George Washington arrived at The Beers Tavern in New Haven, a stop on his way to Cambridge where he would lead the Continental Army. After spending the night at the tavern, Washington reviewed a company of Yale students on the town green. Washington was then escorted out of New Haven by the students, two militias, and a large group of citizens and other students. In April of 1776 when Washington was en route to New York, he chose to stopover at The Beers Tavern again, this time with Martha Washington. Despite the obvious success of The Beers Tavern, in 1778 Isaac Beers announced he would be closing the public house and transformed the building into a bookstore and general store. The bookstore was very successful having one of the largest selections in the country. 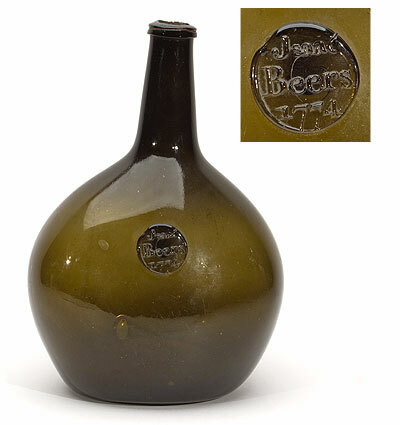 Beers went into partnership with his nephew until 1812 when he retired. He died the following year and was remembered as one of the most prominent citizens of New Haven.